Touring ten drought-stricken states in India transformed the acclaimed journalist Palagummi Sainath - showing him a devastating situation mostly ignored by his fellow journalists. "I felt that if the Indian Press was covering the top 5 percent, I should cover the bottom percent." He also believes the media around the world is, for the most part, imprisoned by profiteering and political constraints. 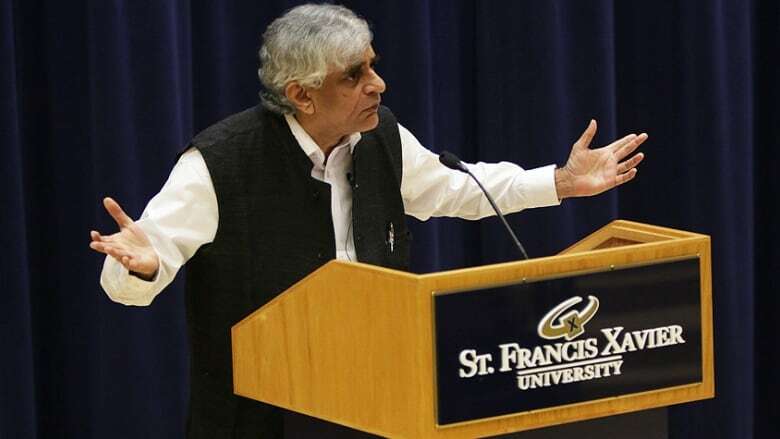 A conversation with Saint Francis Xavier University's Coady Chair in Social Justice for 2015, along with excerpts from Palagummi Sainath's lecture, Media and Democracy. Touring ten drought-stricken states in India transformed the acclaimed journalist Palagummi Sainath - showing him a devastating situation mostly ignored by his fellow journalists. "I felt that if the Indian Press was covering the top 5 percent, I should cover the bottom percent." He also believes the media around the world is, for the most part, imprisoned by profiteering and political constraints. A conversation with Saint Francis Xavier University's Coady Chair in Social Justice for 2015, along with excerpts from Palagummi Sainath's lecture, Media and Democracy. **This episode originally aired May 27, 2016. ​Palagummi Sainath has been called: one of the world's great experts on poverty and famine. Since the early 1980s, he has focused on bringing to mainstream media the often ignored and dire economic and social issues of rural India. Including waking the world to the plight of struggling Indian farmers, nearly 300,000 of whom have committed suicide in the past 20 years. Recently, Palagummi Sainath spent four weeks at the Coady International Institute, located in Antigonish, Nova Scotia at Saint Francis Xavier University. The institute is renowned for training leaders from around the world in community leadership. It was first established following World War II and named after Father Moses Coady - a founder of the Antigonish Movement, a grassroots economic and social justice campaign that began in Nova Scotia in the 1920s. Palagummi Sainath was there as the 2015 Coady Chair in Social Justice.